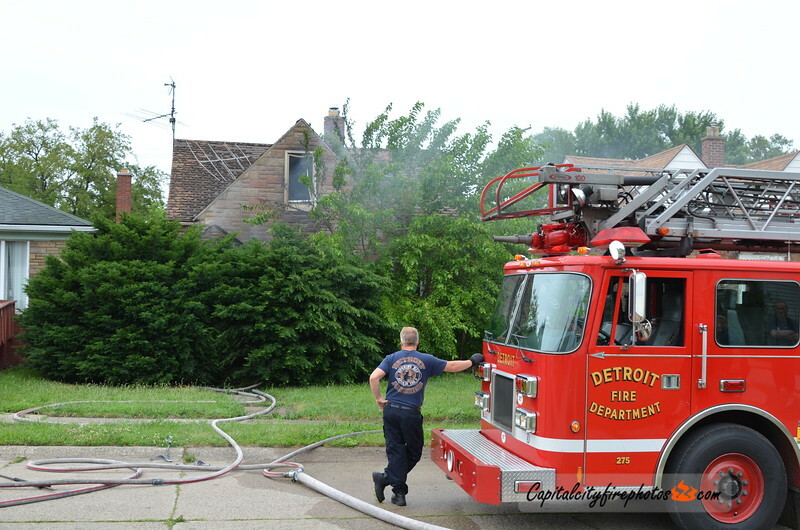 1642 hours – Box Alarm – Sherwood & E. McNichols, fire reported in a vacant dwelling. Engines 56, 60, 44, Hamtramck Engine 1, Ladder 18, Squad 3, Chief 8. Hamtramck Engine 1 on scene stretching on a dwelling on Colbert St. Chief 8 reports a working fire in an occupied dwelling, holding all companies. Fire under control in 20 minutes, searches negative.